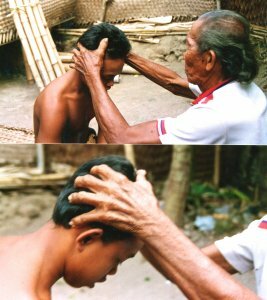 While observing and researching the various healing traditions of Western Lombok in the mid-1990’s, it soon became apparent to me that popot or pungut (head massage) was a fundamental therapeutic technique used in the treatment of many traditional Sasak medical conditions. Popot as it was commonly known was not only used for the relief of physical pain, such as pineng (headache), neck pain and panggel (sore muscles) but was also employed as a potent treatment in a range of psychiatric and supernatural-induced disorders. The following photos taken when I was in Western Lombok in 1996 demonstrate the massage strokes used in popot or head massage. 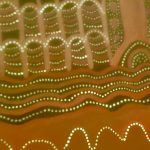 Many of these techniques are similar to those that I have observed being used by traditional shamans or mapantjara in the Western Desert of Western Australia. In both cultural settings head massage was applied as a therapeutic technique to resolve numerous physical, psychological and supernatural conditions and the massage strokes similarly consisted of deep finger pressure and squeezing techniques to the temples, head, neck and shoulders. In Lombok I observed shamanistic healers (belian) using popot routinely as an adjunct to their healing rituals together with owat (medicinal remedies) and jampi (potent spells). Pak Jumali demonstrates the massage strokes commonly used in popot or head massage which involve the deep pressing and kneading of the muscles of the head and neck. Photos by Ken Macintyre 1996. Pak Bihar a high status belian stated with conviction that ketemuk was the underlying origin of Sasak illness. According to Pak Bihar, another of my shaman informants, popot and pertuk (hair tugging) are indispensable in evicting the harmful invisible supernatural spirits known as ketemuk from the human body. Popot massage is usually accompanied by peru – the spraying of saliva from the healer’s mouth reeking of an overpowering smell of masticated raw garlic in the belief that jinns – one of the major culprits of ketemuk – have an aversion to strong acrid odours. 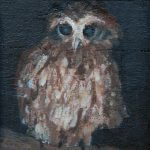 To relieve the client’s anxiety the shaman reassures the client verbally throughout the massage that his condition is under control and resolvable. He does this while massaging the restorative pressure points on the client’s shoulders, neck and thorax which promotes a state of relaxation and stimulates normal breathing patterns. The head massage is concluded by the vigorous pulling of hair located on the midline of the crown between the ears. The belian firmly grasps a lock of his client’s hair, twists it around his index finger and holds the tension for a few seconds while sub-vocalising a potent jampi (spell) to command the hostile spirit to vacate his victim. 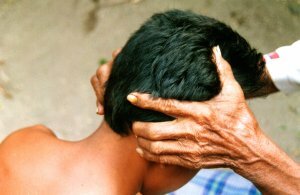 The healer then jerks the hair upwards and away from the head causing a popping sound (pertuk). For a moment the client appears stunned by the sudden upward jerking action but soon experiences a feeling of relaxation and relief believing that the popping sound is that of the expulsion of the ketemuk spirit which was the cause of his sickness. Lombok head massage – the action of pertuk or releasing the spirit. Photos by Ken Macintyre 1996. The practice of head massage physically and psychologically induces the client into a relaxed frame of mind where they become amenable to the positive feedback and affirmations of the healer. (Macintyre 2017). At the conclusion of the head massage the client experiences a feeling of relaxation and calmness and is receptive to the positive suggestions and culturally meaningful diagnosis provided by the Sasak shamanistic healer. 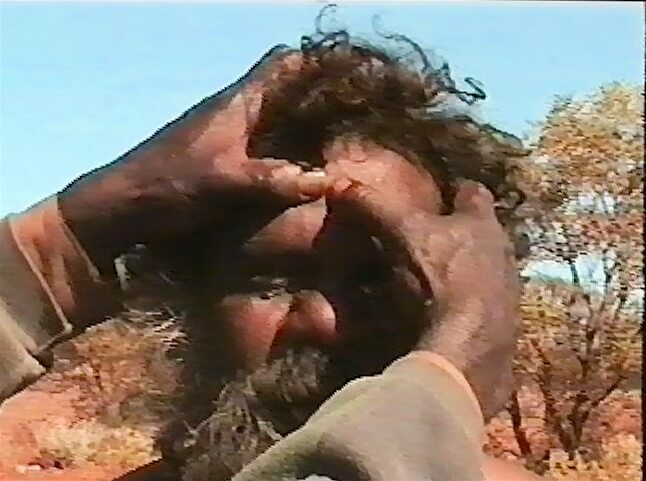 The techniques of head massage used by traditional Aboriginal healers of the Western Desert are remarkably similar to those which I observed among the Sasak healers of Western Lombok. In both cases the massage strokes consist of deep finger pressure and squeezing techniques of the head, neck and shoulders, especially around the muscular insertions of the sternocleidomastoid, splenius capitis and occipitalis muscles. We would suggest that throughout Aboriginal Australia these head massage techniques were well known and practised regularly by shamanistic healers. Head massage – the traditional healers of the Western Desert of Australia massage the forehead and squeeze the temples to relieve tension and head pain, creating a feeling of relaxation and receptiveness in the client. Photo by Ken Macintyre 1994. Deep circular pressure being applied on the forehead just below the hairline. Photo by Ken Macintyre 1994. Deep pressure being applied to either side of the lower cervical spine. Photo by Barb Dobson 1994. 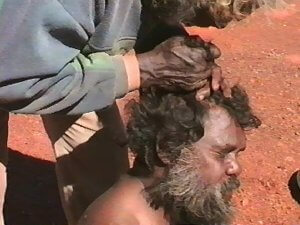 Mapantjara pulls a tuft of hair upwards while blowing his cooling breath onto the crown of his client’s head. Photo by Ken Macintyre. The client as a result of the head massage and hair tugging treatment experiences a feeling of calmness and in this relaxed state is receptive to the positive culturally accepted explanation for his sickness which is now resolved. This diagnosis empowers the client to avoid a similar disease-causing situation in the future. I would like to thank and acknowledge all the shamans who taught me and allowed me to observe and record their age-old healing and massage techniques that were used to alleviate a wide of range of ailments and conditions suffered by villagers in Western and Central Lombok in the 1990’s. I would also like to thank the Lawmen of the Wiluna area some of whom who were mapantjara- traditional shamanistic healers – for showing me their techniques and allowing me to record them using video and still camera. Many of these shamanistic healers in Lombok and the Western Desert area are sadly no longer with us today.